The sea surface microlayer (SML) is the boundary interface between the atmosphere and ocean, spanning the uppermost ~1 mm of the ocean. Covering 70% of the Earth’s surface, the SML supports a rich diversity of life, serving as an incubator for eggs and larvae. The SML controls air-sea interactions and serves as an important hotspot of microbially mediated biochemical activity. A recent review paper by Wurl et al. highlights the important role of the SML in climate and ecosystem function and how it might change in the future. 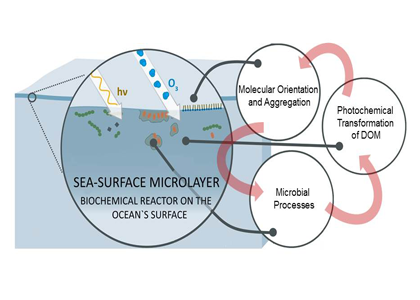 Figure Caption: The sea surface microlayer comprises a complex biofilm and serves as a biochemical micro-reactor with distinct microbial communities and short-term carbon accumulation. The SML is directly exposed to meteorological forces such as UV radiation, precipitation, and diurnal warming. Since these forces will be impacted by climate change, the SML is also likely to experience changes in the future. 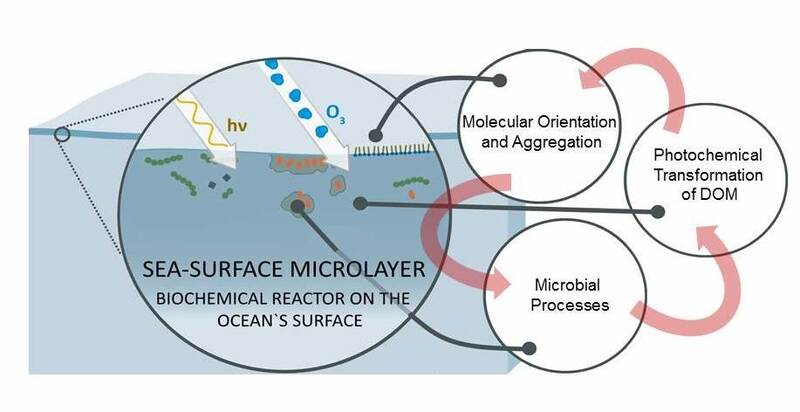 For example, projected increases in primary productivity in the upper sunlit layer of the ocean may enhance the supply of surface-active organic material to the SML with accompanying feedbacks on the molecular diffusion and conduction processes that drive exchange of heat and climate-relevant gases such as CO2 between the ocean and atmosphere. 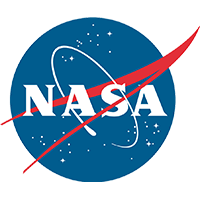 Furthermore, changes in UV flux may enhance the SML’s role as a biochemical reactor in which unique microbial communities and photochemical reactions occur, including the transformation of deposited atmospheric particles like dust into bioavailable nutrients like iron to fuel phytoplankton production. Increasing levels of manmade pollutants such as pharmaceuticals and micro-plastics are accumulating in the SML. These and other pollutants have the potential to disrupt biochemical and photochemical processes in the SML, as well as the unique and diverse food webs it supports. Moving forward, novel techniques and a holistic approach will be needed to improve our understanding of highly complex SML dynamics. 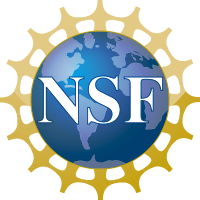 Multidisciplinary data sets that link microbial community structure and function with biogeochemistry will be needed, and eventually, the SML should be included in computer models used to forecast future changes in climate, marine ecosystems, and biogeochemistry.